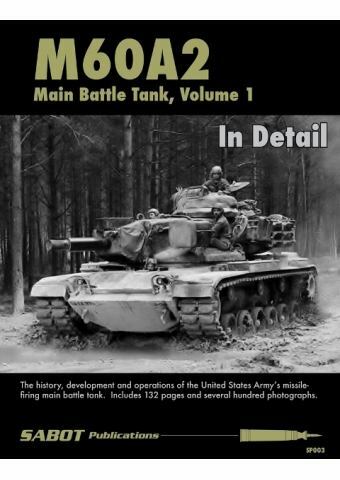 M60A2 MAIN BATTLE TANK IN DETAIL - VOLUME 1. 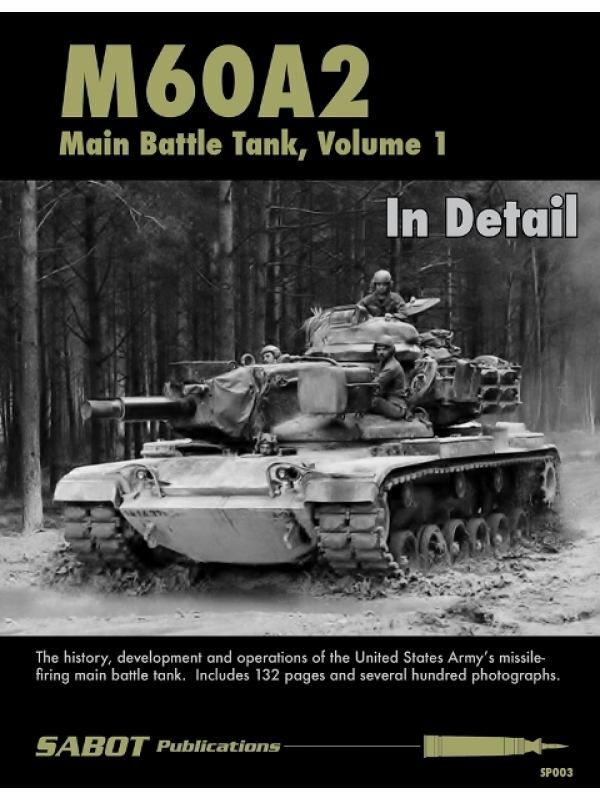 The M60A2 in Detail volume 1 is a comprehensive 132 page full color photo-journal of the U.S. Army's short-lived M60A2 missile-firing main battle tank. This tank saw deployment within the United States and in USAREUR forces in Germany in the 1970's and early 1980's. This book contains hundreds of exclusive never-before-seen photographs of the vehicle in Germany between 1978-1980. 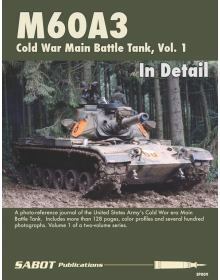 Photographs include break down and recovery, gunnery at Grafenwoehr, Hohenfehls, REFORGER and numerous other exercises. Volume 1 is entirely black and white period photos, with many close up detailed shots. Some interior shots. Volume 2 will contain about 60 pages of color in action photos and about 60 pages of walkwround detail shots. Part 1 of a comprehensive photo-reference of the M60A2. In action photos in Germany. Περιγραφή: Σελ. 132, μαλακό εξώφυλλο, 297 X 210 mm, 250 α/μ φωτό εποχής (μεταξύ των οποίων και πολλές κοντινές). Κείμενο στα αγγλικά. 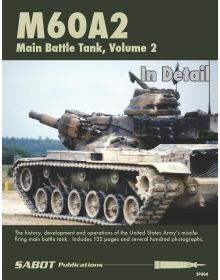 M60A2 MAIN BATTLE TANK IN DETAIL - VOLUME 2.The M60A2 in Detail volume 2 is the second part in a two..
M60A3 COLD WAR MAIN BATTLE TANK IN DETAIL - VOLUME 1.This is a 128 page book on the M60A3 as seen pr..